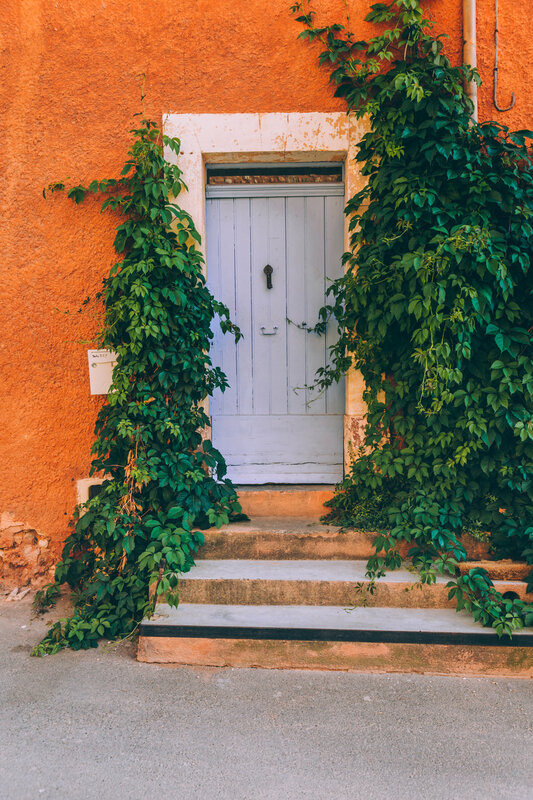 I have been going on holidays to Provence with my family for about 5 years now until my parents recently decided to buy a house there. 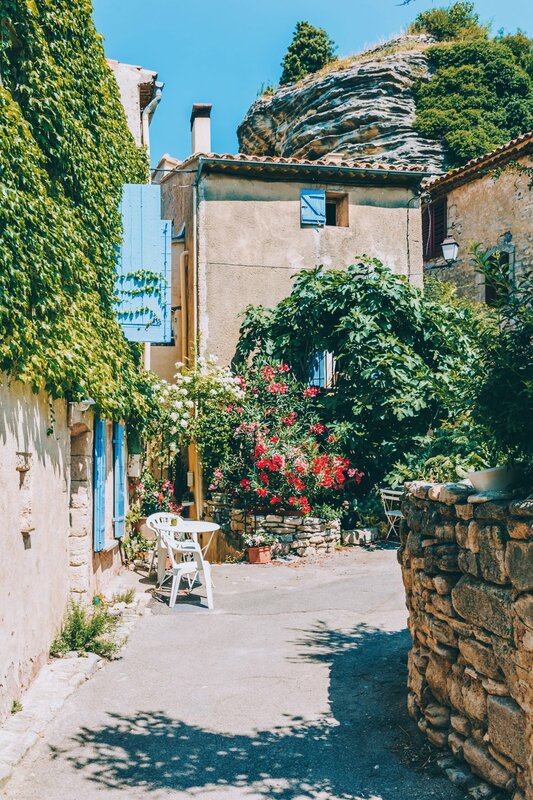 I have had quite some time all these past summers to explore the region of Vaucluse and now it seems like I will be exploring this part of France even more now that I have a house there to stay! 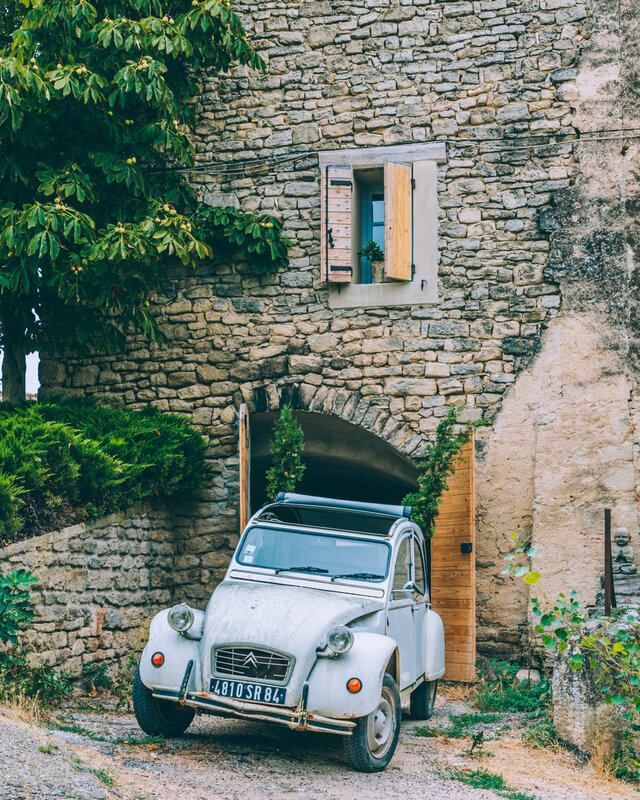 I have always been very fond of the adorable villages I discovered every time I was driving around and decided to write a little bit about my favorite ones. Of course, not all of them will be listed as I still haven't visited all the villages of the region but here's a list of the few I had the chance to explore. Quite difficult not to fall in love with Saignon. My friend Nath and I recently decided to drive around and we stopped there thinking we would only need 20/25min to look around and take some pictures. In the end, we stayed more than 3h walking around! 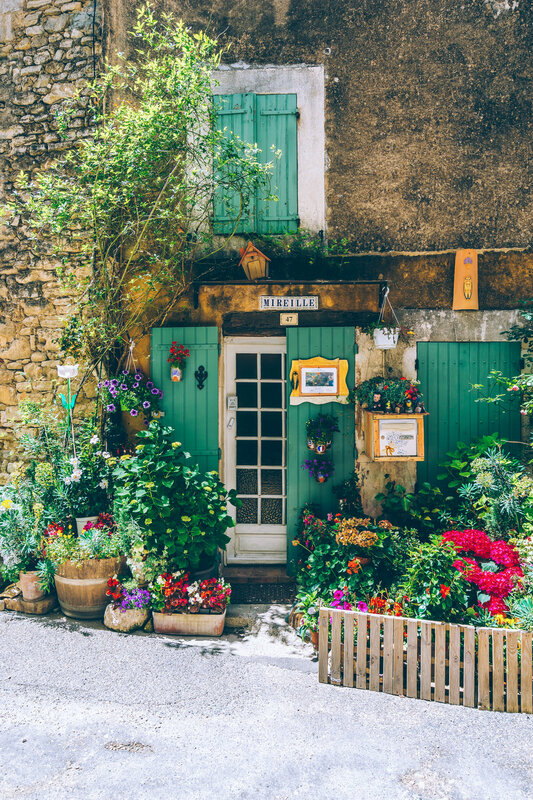 This little quaint village is at the top of a hill and is overflowed with cute facades and adorable hidden street corners. This village is definitely at the top of my list, as it is not crowded at all by tourists and remains peaceful and authentic. I spent my summers here for the past 4 years. 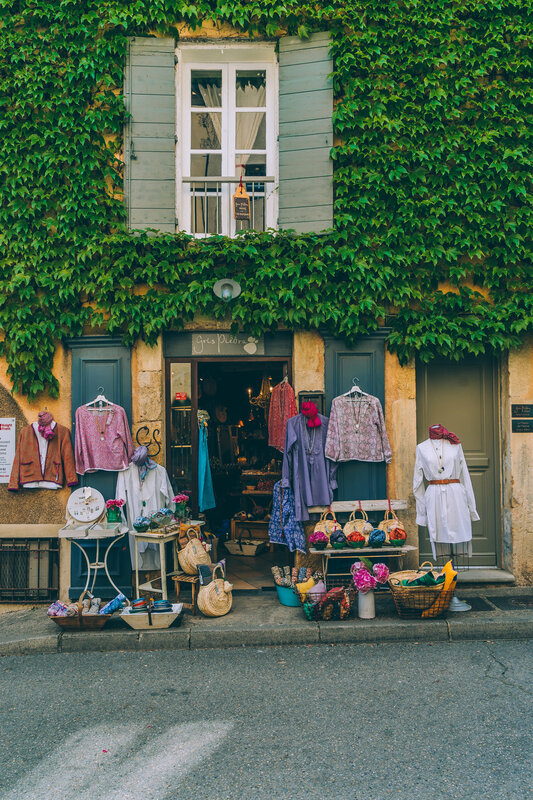 Close to where I live now, l'Isle sur la Sorgue is a very quaint village, quite busy on Thursdays & Sundays (market days) but overall quiet & lovely to walk around. 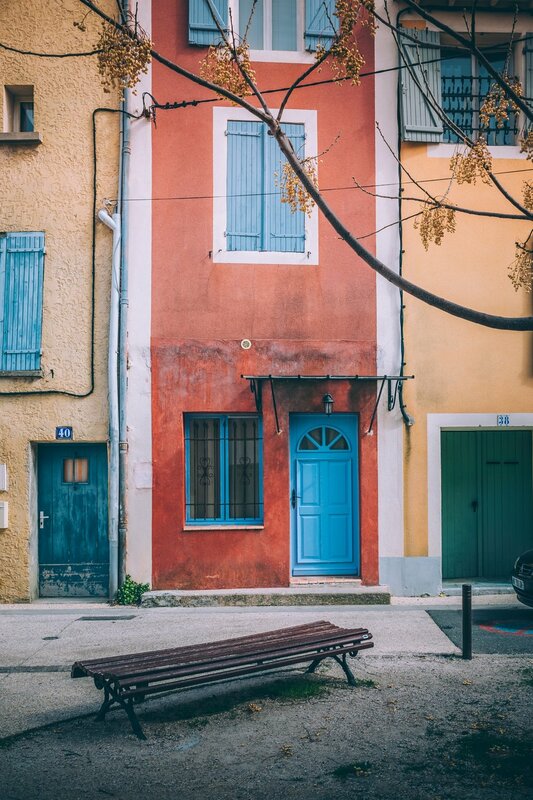 You’ll find great little restaurants around this small town & if you get lucky, you’ll even be able to listen to some great jazz musicians playing in the streets. The river Sorgue surrounds the city, and makes it an '“island town”. In the summer, concerts & kayak competitions happen right in the centre of the village. 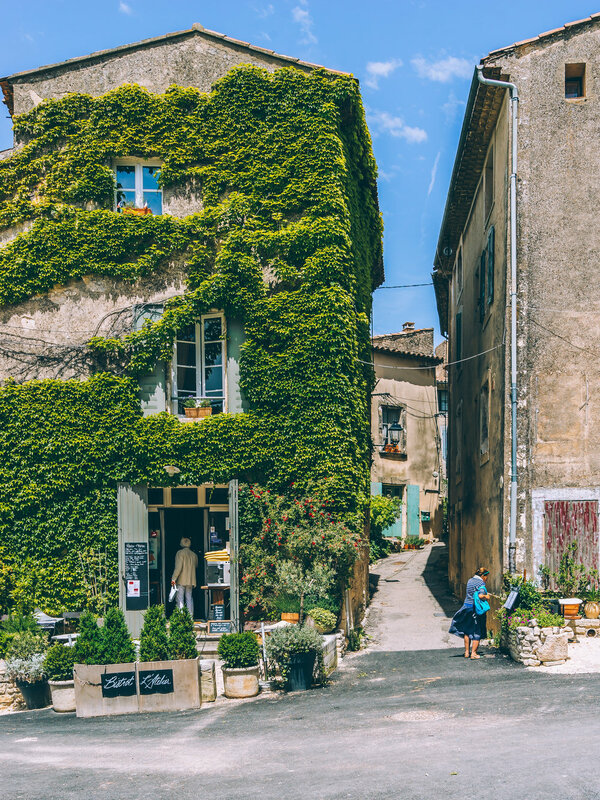 One of the 'most beautiful villages of France’, Lourmarin is a town you can’t miss if you’re driving around the Vaucluse department. Get lost in the small narrow streets, visit its castle & if you’re there during the summer, you can even attend one of its outdoor concerts. 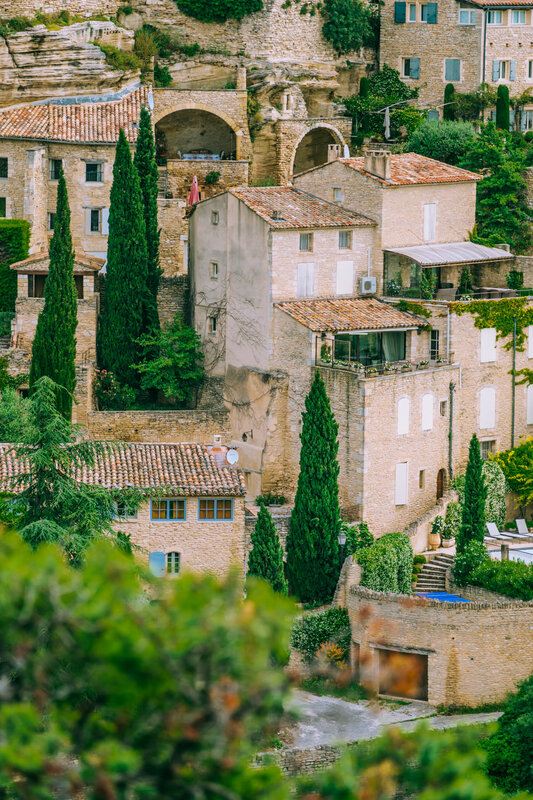 Gordes is one of the most well-known villages of Provence. 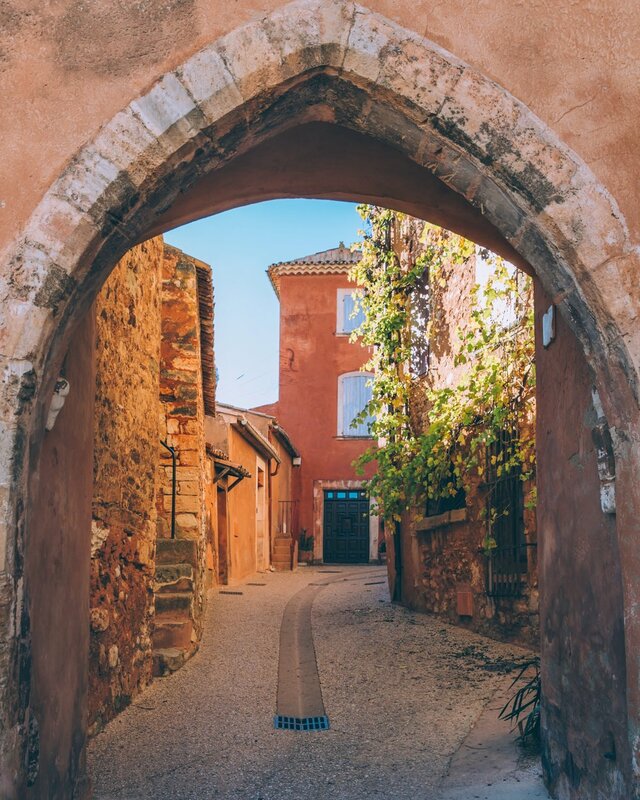 Built on a hill, the city is filled with narrow cobblestone streets and incredible views from every corner. There are many cafés & restaurants for a perfect break. But the view from the village itself is the #1 sight to see - which by the way, might be one of the most famous postcard image in Provence. 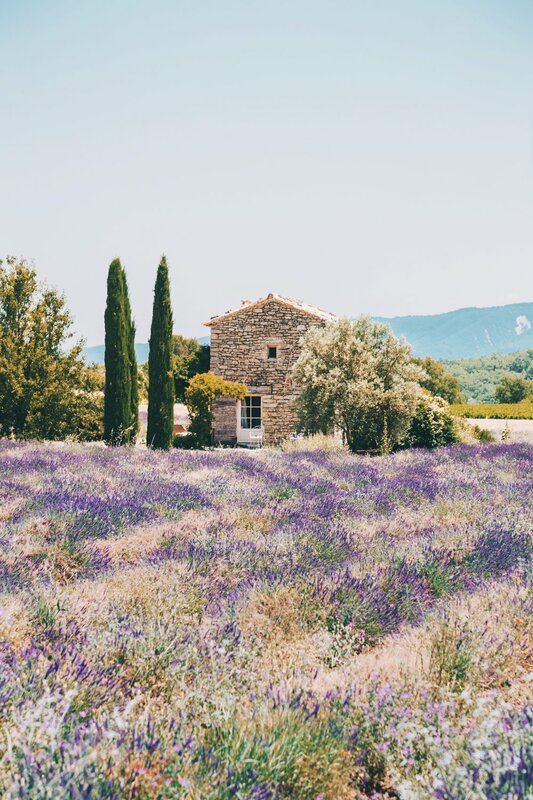 From mid-June to end of July, you’ll drive by tons of lavender fields if you’re exploring Provence. But one of the most famous lavender field is of course, Valensole (as seen a million times on Instagram). It gets super busy during these couple of months obviously so it’s best to visit in the morning to avoid the buses of tourists. 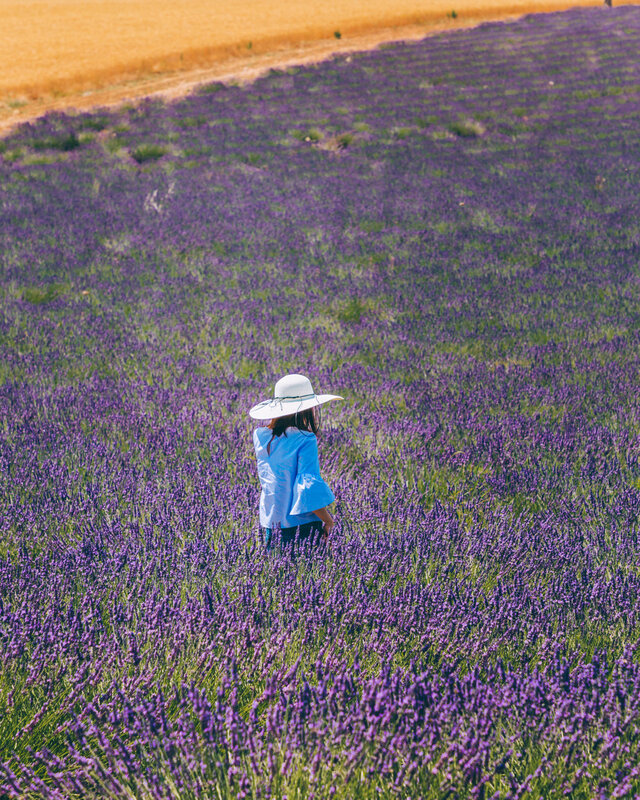 Valensole is the biggest lavender plateau in the area but it is also a little town which you need to visit. It’s adorable and you will be able to taste some lavender honey in the local shops. Where to eat : Gilles, Place Marcel Bonnein, 13810 Eygalières. 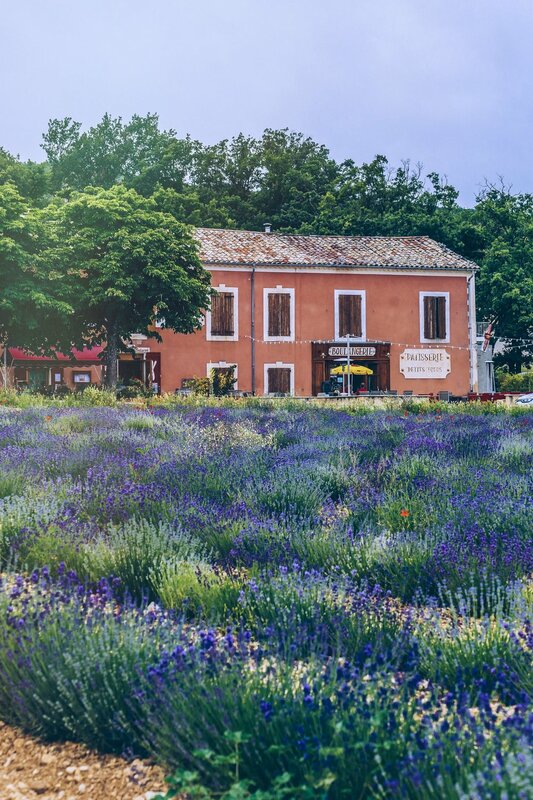 I recently discovered this little town as I was driving around trying to find nice lavender fields. Simiane-la-Rotonde definitely caught my eye. I parked my car and walked around for a couple of hours. This town is on a steep hill but it’s worth the walk. 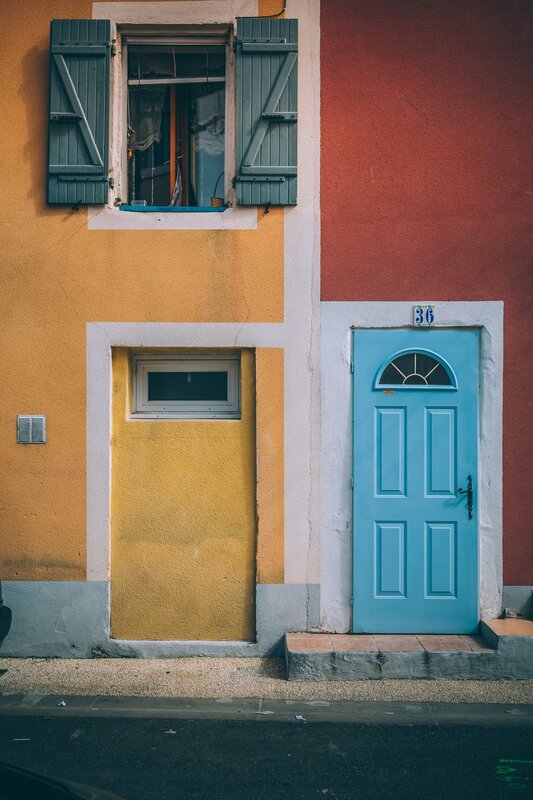 There are so many adorable details, pretty doors and little cafés. 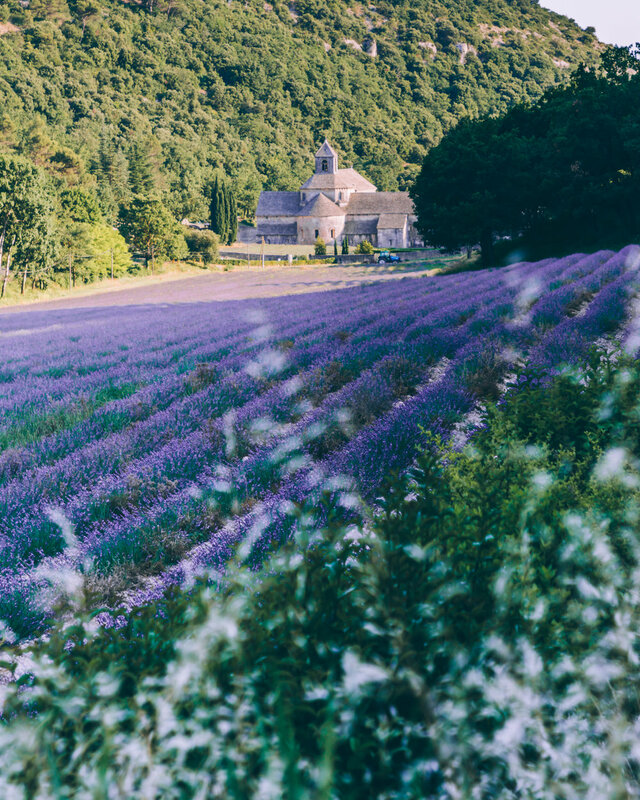 Little tip : if you’re driving there, make sure to also visit the towns of Sault & Aurel nearby as they are great lavender spots as well! The red town, as I call it. 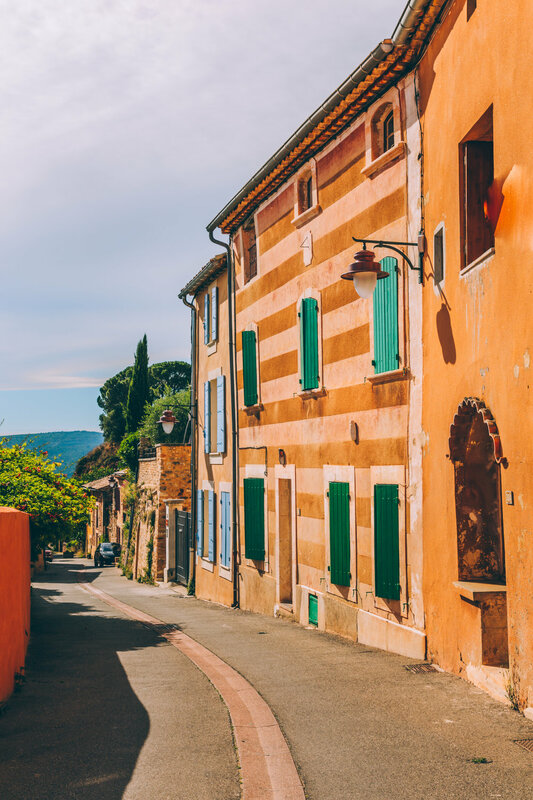 Roussillon is by far one of my favorite villages. I have been so many times but I can’t help myself every time I am there, I take photos. Honestly, this village is mindblowing by its colors. 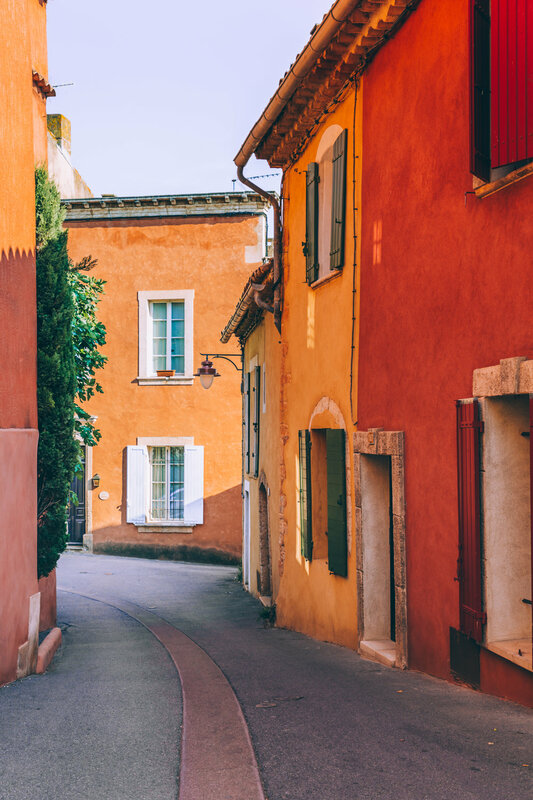 All the ochre façades make it seem like you’re walking in a painting. There’s obviously an explanation to why the town looks the way it is : it’s located in the biggest ochre deposits in the world - reason why everything is covered in ochre and it is used on each facade. 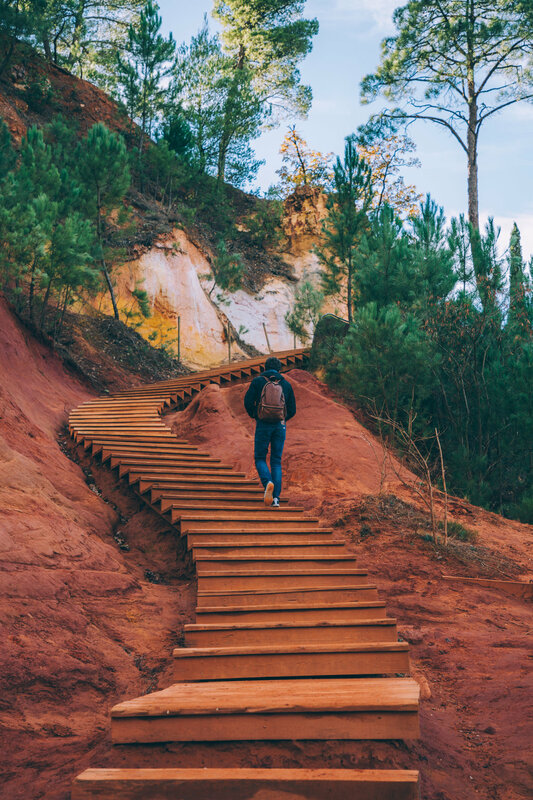 To do once you’re there : walk the "Sentier des Ocres" , it’s a path through the ochre lands, you’ll feel like walking in an ochre canyon. 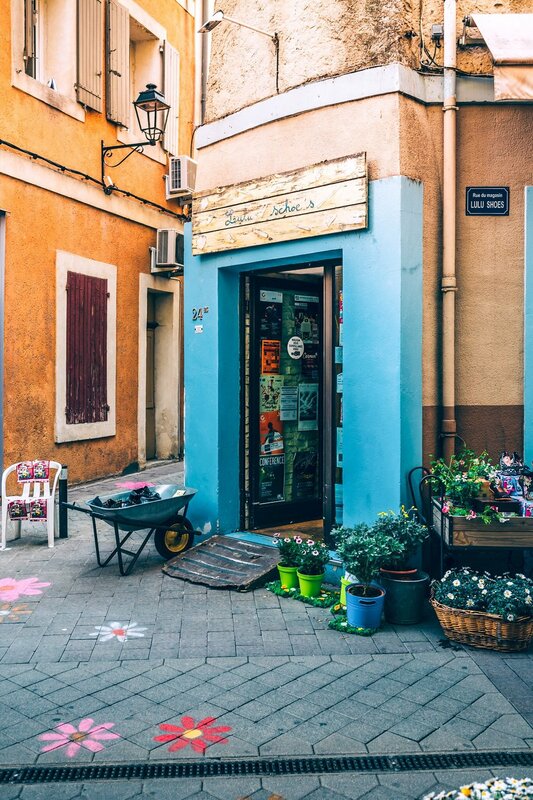 My favorite restaurant : Restaurant Des Couleurs, 84220 Roussillon. 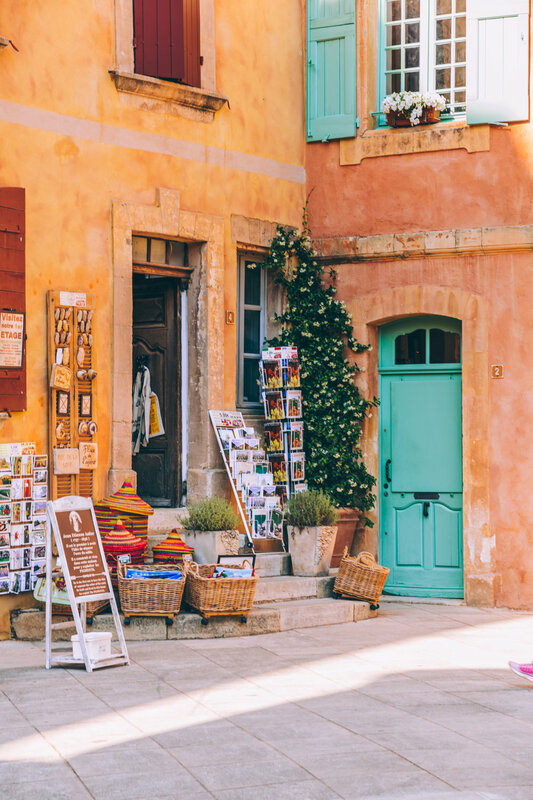 As busy as it gets during the summer, Fontaine de Vaucluse still has to be on your list of places to explore in the Vaucluse region. Morning is obviously the best moment of the day to visit the town as it is really quiet and agreeable to walk around. This beautiful place is known for its clear blue/green water and its giant spring (largest in France). You can do a little walk to the source and it’s only a 15min walk. But you need to know that winter is the best season to see the source as otherwise, the river will be low & there won’t be much to see at the end of the path. Still, this town is worth visiting at anytime of the year. 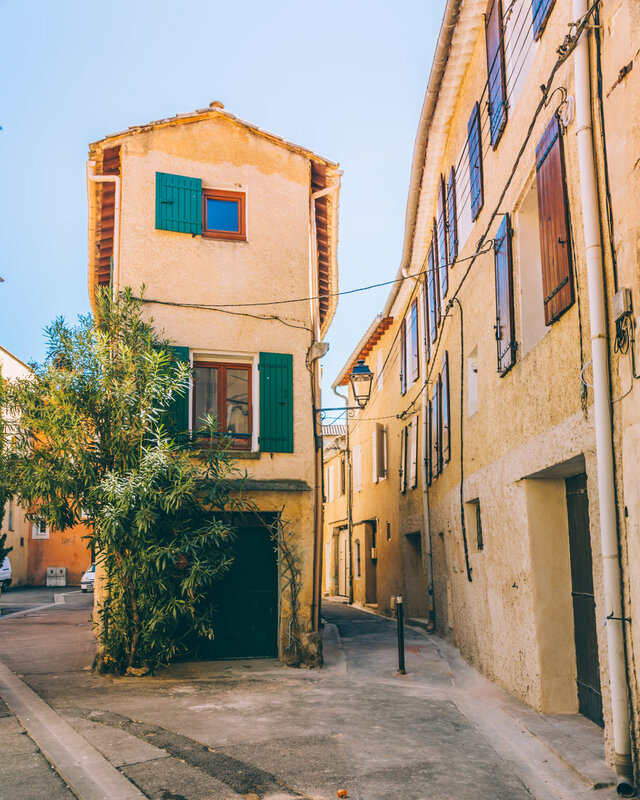 Fontaine de Vaucluse is one of my family’s favorite towns around as we always go there for sunset during off season and we have dinner at the restaurant called La Figuière (Chemin de la Grangette, 84800 Fontaine-de-Vaucluse) which I highly recommend! The fountains of Pernes are obviously the main attractions of this village. That’s right, more than 40 fountains from the 18th century can be found across town, as well as a covered market from the 17th century. Crazy, right? Pernes is definitely a village to visit anytime of the year, and I advise you to visit before sunset so you can go get a drink right after at my favorite spot. My favorite spot : a wine bar called L’Instant Vin (54 Pont Notre Dame, 84210 Pernes-les-Fontaines). If you like dessert wine or sweet white wine, order a glass of “pipi d’ange“ (yes, it means angel’s pee!). My favorite wine ever. 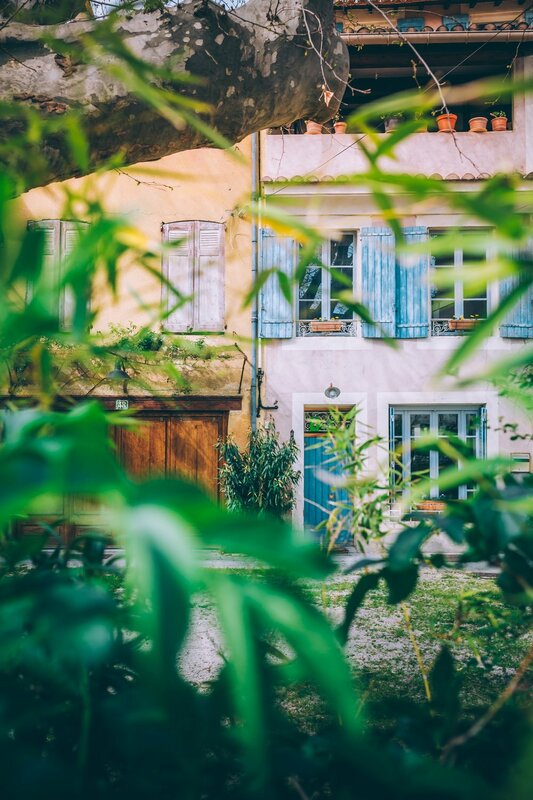 If you want to spend some time in a very peaceful village, Oppède le Vieux is THE perfect place for you. Park your car, and wander around this village. You’ll get to see magnificent old houses from the 16th century and a 12th century church. Pictures don’t do justice enough to this beautiful hidden gem of a town. 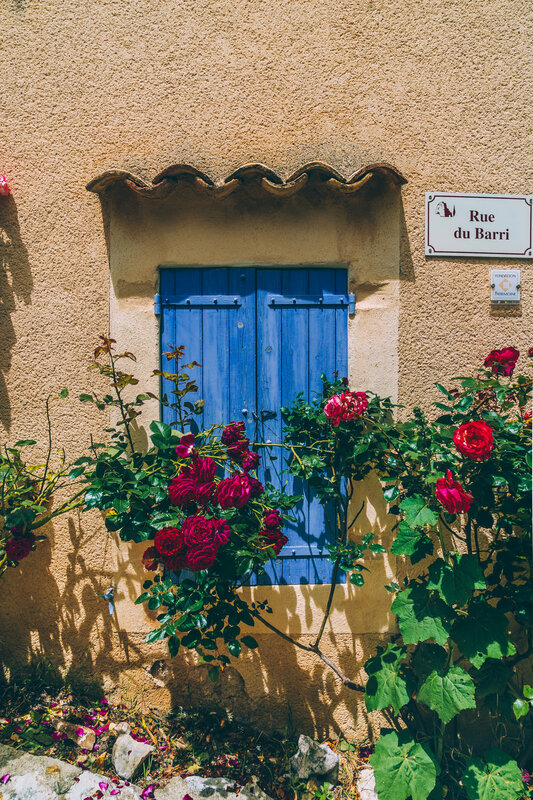 Little tip : drive up the “Route des Crêtes” if you’re in Cassis. 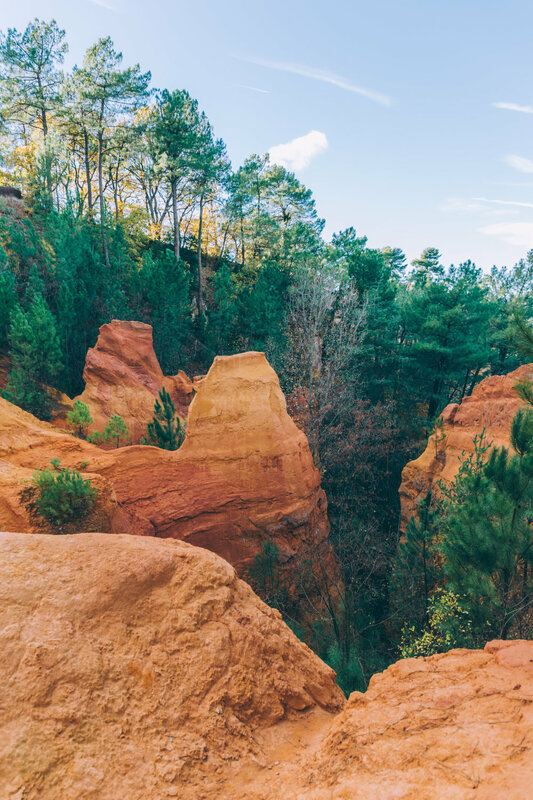 It’s one of most spectacular drives I have done in France and you’ll get to see beautiful views. The roads are narrow but do it! Drive for sunset and you won’t regret it. Now we’re really far from the villages previously mentioned. But Èze is THE place to go if you’re driving around Nice (only 20min away). This hilltop town has the best views on the French Riviera and you’ll be amazed by how charming it is. I have been twice and as small as it is, I want to go back. Every corner is picture perfect. My favorite spot : go to the Exotic Garden (Le Jardin Exotique, 20 Rue du Château, 06360 Èze) for the best views on the Mediterranean Sea. You have to pay to go in this mountaintop botanical garden (4 euros I think) but the views are really worth it.